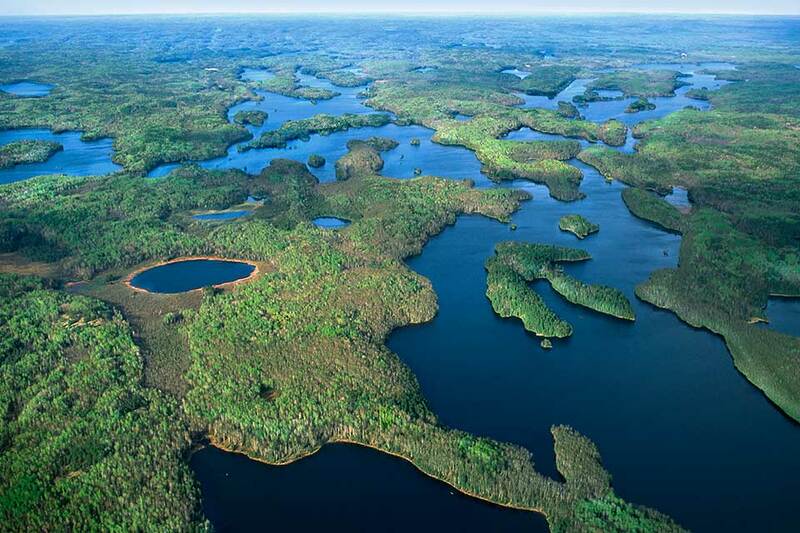 Boundary Waters contains over 1,200 miles of canoe routes, 12 hiking trails and over 2,000 designated campsites. Permits are required for any overnight trip between May 1 and September 30. For any overnight trips between October 1 and April 30, simply fill out a self-issued permit at any of the Boundary Waters entry points. Walk-up permits may be obtained at any permit issuing station on the entry date or one day prior, however reservations are highly recommended. I know camping sounds crazy, but the Brooks Camp Campground is surrounded by an electric fence and it’ll be about $1,000 less than any of the lodges available up there. They provide most standard campground amenities. They do have fire rings but visitors are not allowed to cook any food over the fire, because, ya know, BEARS! There are lodges available through Katmailand but they’re expensive and the do a lottery for the chance to reserve a lodge 1.5 years out (the lottery period for 2020 reservations was in early February 2019). The Conundrum Hot Springs are located about 8.5-miles (17mi. RT) from the Conundrum Creek Trailhead at 11,200ft above sea level. (Hike info on AllTrails). There are 20 campsites available for advance reservation on Recreation.gov. These hot springs have been historically overused and abused in the past, leading to the current permit system. PLEASE do not abuse this area or any others and be sure to LEAVE NO TRACE! The trail starts at 8,800 feet elevation and crosses Conundrum Creek 3 times along the way. Primitive log bridges span the first and the second crossings, but the third crossing requires wading through the creek which can be extremely difficult depending on the time of year and snowpack. May 31: Denali Road lottery application period ends. For 4 days in September, lucky permit winners are given the chance to purchase a single day-long permit which lets them drive as much of the Denali Park Road as the weather conditions allow. If the park has seen early snow, the Park Road might only be open as far as Savage River (mile 15). Otherwise, you will typically be able to drive all the way out to Wonder Lake (mile 85). Only 1,600 permits are awarded (400 per day), and last year there were 12,600 applicants. Lottery applications are accepted from May 1 – May 31 on this Recreation.gov website. 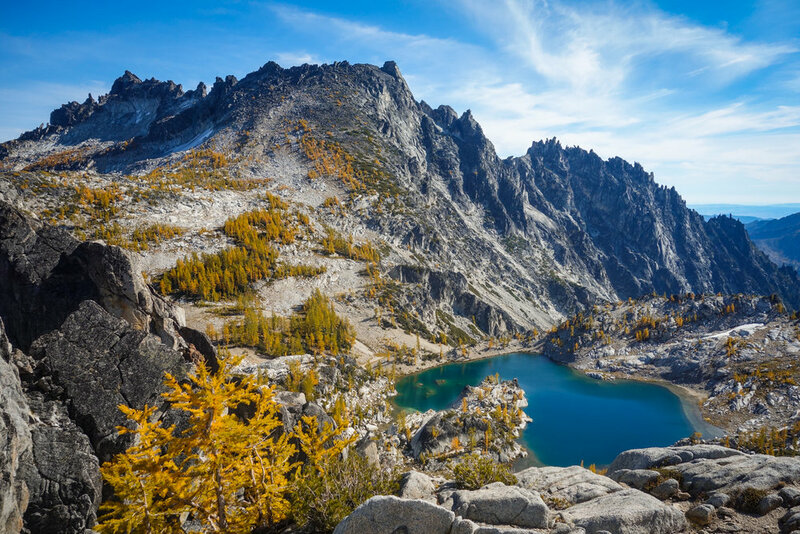 A permit is required for all overnight trips in the Enchantments between May 15 and October 31. Permits allow your group to camp overnight in one of the five permit zones within the Enchantments Permit Area (map). If you plan on day-hiking or thru-hiking, simply fill out a free day-use permit at your starting trailhead. Eightmile Campground is the best campground in the area to stay at the night before or after your trek. Book your campsite here. Bridge Creek Campground just down the road from Eightmile, but it’s first-come first-served and they only have six single campsites. Great extensive overview of Enchantments (trailheads, hikes, and permits) by MountainLovely.com. NEW FOR 2019: All permit applications received on March 15 ONLY will be entered into a random lottery, and ALL applications received after March 15 will be processed in the order that they were received in. ALL permits applications received on March 15 ONLY will be entered into a random lottery, and ALL applications received after March 15 will be processed in the order that they were received in. Official Glacier website for backcountry reservations. Read the info and then follow their link to Pay.gov to complete your applications. Backcountry reservations go live on the January 7 at 8:00am MT. Reserve your backcountry permits here. A third of all backcountry reservations become available January 7, 2019 via Recreation.gov. The backcountry brochure has pretty much all the information you could ever need to plan your trip. The Teton Crest Trail covers 38-miles through the Teton Range, but there are many different options to hike it. Normal backcountry wilderness permits are required if you plan to hike the trail. Utilize the Grand Teton backcountry brochure to plan your trip. The Clymb has a great guide for different hiking routes and obtaining permits. There are a handful of campgrounds within the park that you can book here, but the neighboring Bridger-Teton National Forest offers the best free dispersed camping areas in the entire country, in my opinion. Primitive winter camping is allowed in the plowed parking lot adjacent to the Colter Bay Visitor Center for $5 per night from December 1 to April 15. Camp on the snow covering the parking lot. Pay at the self-pay station by the restroom. Backcountry camping is allowed throughout the year. You must obtain a backcountry permit, free of charge. Call the permits office 307-739-3309 for more information, or check the backcountry brochure. To visit Havasu Falls, you must purchase a permit from HavasupaiReservations.com right when reservations open up on February 1 at 8:00am Arizona time. You are required to purchase a minimum 3-day/2-night stay for the campground which ends up being around $350/person minimum. PRO TIP: The helicopter seems like a good option to get out, but don’t bother. The line will be way too long, and locals always have priority for getting on the helicopters and will be leapfrogging you all day. If you do finally get on, your bag(s) will be on a different helicopter so you’ll have to wait again at the top for your bags to come in. PRO TIP: Paying for a donkey to carry your bags up is a decent option. You’ll still have to wait at the top for your bags, but we only ended up waiting 20 minutes or so for my friends bag to come up. If you’re hiking the JMT starting at the north (Yosemite), you’ll need a permit from Yosemite National Park. If you’re hiking the JMT starting at the south (Mt. Whitney), you’ll need a permit from Inyo National Forest. Yosemite wilderness permit reservations are available 24 weeks (168 days) in advance. If you hope to reserve a permit, you should apply exactly 168 days in advance. Whether backpacking or just day-hiking, a permit is required at all times to hike Mount Whitney Trail between May 1 and November 1. This is an extremely challenging 20-mile round trip to the summit of the tallest peak (14,505ft) in the lower 48. Please do your research and over-prepare for this hike, especially if day-hiking! People regularly get rescued off the mountain. Read about our Mount Whitney trip and the two-groups of ill-prepared hikers we provided shelter to at midnight at Trail Camp. Day Use Permit - Valid for one day only, from midnight to midnight. Consecutive day use permits are not allowed. Only 100 permits per day are issued. Overnight Permit - Includes multi-night trips starting on the Mt Whitney Trail and allows camping along the trail and summiting Mt. Whitney. Outpost Camp and Trail Camp are the two prevalent and most popular camping destinations along the trail—both have access to lake or river water. Only 60 permits per day are issued. The ideal place to camp in Whitney Portal which is located just down the road from the trailhead. Book your campsite here. If you’re like me and free camping is your jam, there are plenty of amazing free dispersed campsites in the Alabama Hills area (map). RMNP starts accepting reservations for wilderness campsites on March 1 at 8:00am MT on this page, where links for "Wilderness Campsite Reservation Request Application" and "Most Recent Wilderness Campsite Availability List" will appear at that time. There is no free dispersed camping within the park. All camping must be done at a campground or at one of their designated backcountry campsites. There are 3 campgrounds that you can book in advance online at Recreation.gov. They are Asplenglen Campground, Glacier Basin Campground, and Moraine Park Campground. There are 2 more campgrounds that are first-come first-served. They are Longs Peak Campground and Timber Creek Campground. They only issued 20 total permits per day to hike to The Wave—10 are issued in advance online and the other 10 are issued in person the day before at the Grand Staircase-Escalante National Monument Visitor Center in Kanab, Utah (map). All the info you need on both applying online or in-person is located here. I’ve tried both multiple times to no avail. In my opinion, this is the #1 hardest permit to get due to the extremely small number of permits they issue. There are only 5 campgrounds that you can reserve in-advance online through Yellowstone National Park Lodges. There are 7 more campgrounds that are first-come first-served. See the full list here. Use this website to get a live look at Yellowstone campground vacancy and how early or late they reached capacity. Backcountry permit reservations are accepted from January 1 to October 31 of each calendar year. Reservations received by March 31 will be processed in random order starting April 1. Reservations received on or after April 1 will be processed in the order they’re received after the random lottery is complete. 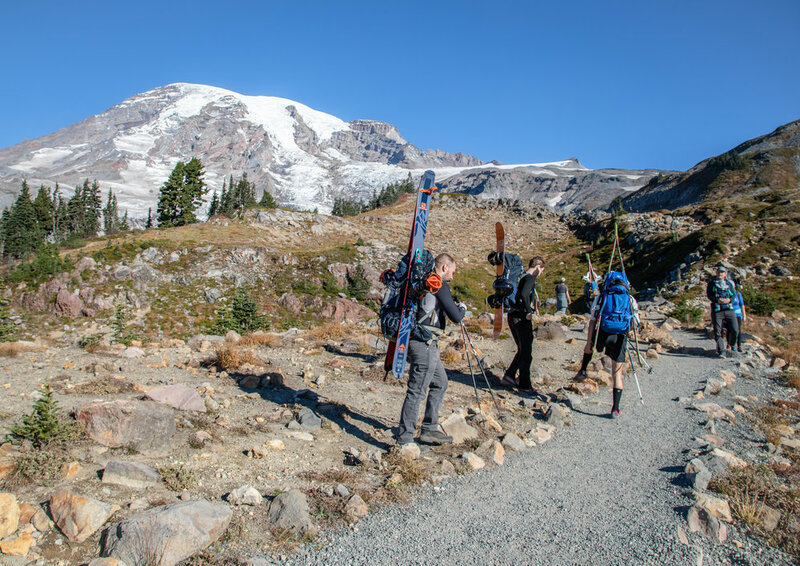 Use the Backcountry Trip Planning Guide to map out your trip and then complete the Permit Reservation Application and fax it in (yes, I said fax). You can easily just purchase a guided snowmobile tour through a company, but if you want to snowmobile in Yellowstone without the presence of a commercial guide, you’ll need one of the harder to get permits out there. This is a 18-mile round-trip hike that takes you up two waterfalls en route to the infamous Half Dome Cables route to the summit of Half Dome. Know your abilities and your limits, be smart, and NEVER attempt the Half Dome cables if it is wet or there is rain in the forecast. The permit lottery registration opens on March 1 on this Recreation.gov site and you’ll have the entire month to get your lottery registration complete. On April 10, you can log into your Recreation.gov account to see if you were awarded the permit or not. If you were, then you’ll have until April 24 to accept your permit and complete the purchase. PRO TIP: Start early! Like 3 or 4am early! It’s a long hike and a long day. Bring super grippy gloves—you’ll need them to grip the chains up Half Dome and keep your hands warm (PLEASE DO NOT LEAVE YOUR GLOVES AT THE BASE OF HALF DOME! LEAVE NO TRACE!) And the last accessible water source is the Merced River right at the top of Nevada Falls, so drink up and replenish your water supply there while you drink in the amazing view! PRO TIP: Most people like to dayhike this, but I recently backpacked up which allows you to get up the cables of Half Dome way earlier, plus you’ll have a better chance of getting a permit by completing the Wilderness Permit form and checking the box indicating that you’d like to summit Half Dome. PRO TIP: If you get a wilderness permit to go backpacking in Yosemite, there is a “Backpackers Campground” located just off of North Pines Campground (map) where you are allowed to stay one night before you start backpacking AND one night after you are done backpacking. You just need to pay the $6/person/night fee at the campground and leave your vehicle at the Happy Isle parking lot (they do have a 15-minute unloading zone in the North Pines campground to drop any gear off. There are 3 campgrounds in Yosemite Valley and these are hands-down the hardest campgrounds in the country to book. Use the links below to go directly to their reservation sites on Recreation.gov. The only free dispersed camping options are located outside of the park and are a significant drive from Yosemite Vally—hence the popularity of these campgrounds. A Zion Wilderness Permit is required for overnight backpacking trips, all canyoneering trips, overnight climbing bivouacs, and river trips. On the fifth day of every month at 10:00am MT, you can make reservations for trips three months out. Reservations are available online. There’s also a Last Minute Lottery that opens up 2 days before your desired trip if you’re planning on the fly. All permits must be picked up in person the day before or the day of your trip, so plan accordingly! View the Zion Wilderness Guide for pickup locations and hours. Most people day-hike the Narrows from the bottom-up by taking the free shuttle to the Temple of Sinawava stop. Doing so does not require a permit. Hiking the Narrows from top-bottom requires a permit whether you’re day-hiking or backpacking and camping overnight. Like most other Zion wilderness permits, on the 5th of each month you can sign up for the Advance Lottery for a permit 3 months down the road. (ex. On March 5, you can sign up for the lottery for any permit in the month of June). Sign up for the advance permit lottery here. Bottom-Up: The more popular, less technical day-hiking route that requires route finding, creek crossing, and scrambling over boulders. Starts from the left fork of North Creek. Top-Down: This technical route requires rappelling skills, 60 feet of rope, extensive route finding experience, and swimming through several deep pools of very cold water. Starts from Wildcat Canyon Trailhead. There are many places within close proximity to Zion Valley for free dispersed camping, but I can’t give away my spots! Do some research! Loop A Reservations begin approx. February 28. Loop B Reservations begin approx. March 15. Loop C Reservations begin approx. February 28. Loop D Reservations begin approx. March 7. Loop E Reservations (Group sites) begin approx. March 7. Loop F Reservations (Walk-to, Tent only sites) begin approx. March 7. Only available to book online 14 days before your desired date.